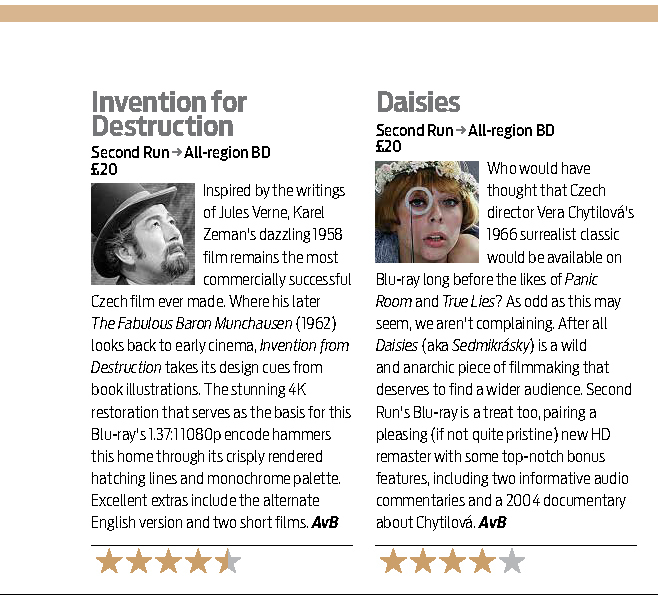 Beyond delighted that the BFI's 'The Best Blu-rays (and DVDs) of 2018' places INVENTION FOR DESTRUCTION at joint #5 place! "The stunning 4K restoration that serves as the basis for this Blu-ray's 1.37:1 1080p encode hammers this home through its crisply rendered hatching lines and monochrome palette. Excellent extras include the alternate English version and two short films."